The Giants added their first big bat of the offseason on Wednesday, trading for third baseman Evan Longoria. It sounds like the team is far from done too. 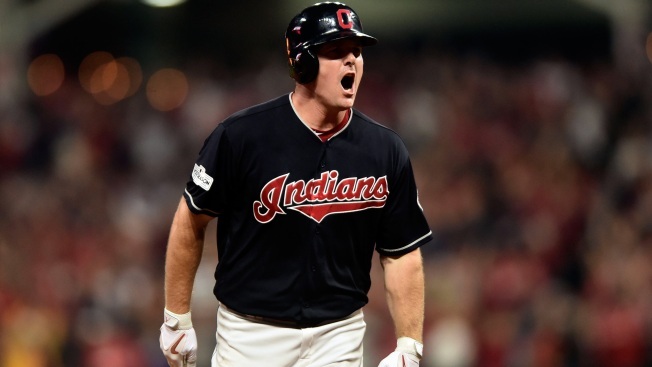 The Giants reportedly are interested in signing free agent right fielder Jay Bruce. Bruce's agent Matt Sosnick joined KNBR Radio on Wednesday morning and made it clear there is mutual interest. According to Sosnick, Bruce hopes to sign with either the Giants or Astros. Sosnick went as far as saying, "I think if Jay ends up in San Francisco he'd be thrilled." Agent Matt Sosnick says on @knbr Jay Bruce wanted to play with #SFGiants or Houston, which doesn't have money for him. "I think if Jay ends up in San Francisco he'd be thrilled." Between the Mets and Indians, Bruce hit .254 with 36 home runs in 2017. Bruce will turn 31 in April and is seeking a four-year deal.